Lamont Bros. is a team of amazing talent that brings together vision, creativity, and craftsmanship to build beautiful living spaces. The name Lamont is the Scottish clan name of founders David and Joseph Patrick. It emphasizes old world craftsmanship, longevity and the vision and creativity of the Celts. Our building philosophy stems from a belief that what we do matters. Architecture is something that is often here long after we are gone. We want to build something that is amazingly beautiful now—but will also remain amazingly beautiful for generations. When designed and constructed right this can be true of almost any style. To have a beauty that lasts durability is essential. We work hard to find and use only the best products so that your living space will last your lifetime. 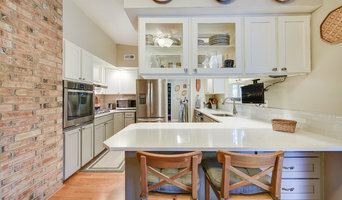 We specialize in residential (and some small commercial) remodels and renovations. Our design team will work with you to design a living space that capitalizes on the original charm of your house and brings out new beauty that wasn’t there before. The construction team takes care in the smallest details possible to complete the original vision with class. Kitchens and bathrooms provide a wonderful avenue to blend together usefulness and beauty. The modern kitchen is a production space, but much more than ever before it has become an entertaining space. Bathrooms are tremendous places to showcase amazing tile and stone work while using advanced technology to insure protection against all water penetration. Finishing a basement is the most cost-effective way to add value and living space to your house. Portland is replete with old basements that have never been fully utilized. Additions provide a challenge to incorporate new living space into an old design and modernize the old while fully utilizing the new. Whatever your design and remodeling dreams, we are here to help you dream and make it happen. 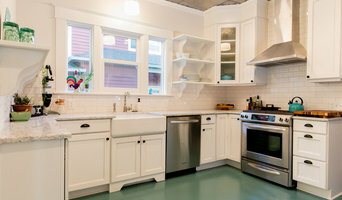 Creative Tile & Remodel, LLC. (CTR) is a family owned and operated business that has been proudly serving the general contracting needs of the Portland and greater metropolitan vicinity since 2003. We offer comprehensive remodeling services ranging from creative tile design to full kitchen and bathroom remodels with a focused emphasis on quality craftsmanship, details and timeliness, at competitive prices. The Pratt & Larson Tile showroom and ceramic tile factory are located together in Portland's Central Eastside district. 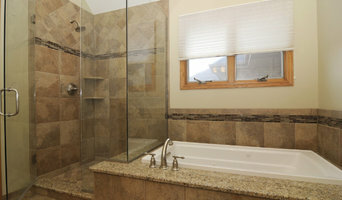 We offer a variety of both traditional and contemporary tile and stone products. The retail showroom and factory outlet store are open to homeowners, designers, and builders working with budgets and projects of all sizes. Our experienced sales staff can help you select the perfect material that turns your design ideas into a beautiful reality. The Pratt & Larson handmade ceramic tile factory is unique in the industry for creating and producing more than fourteen different style lines as well as hundreds of distinctive glaze colors. We manufacture our tile in Portland Oregon and distribute through our dealer network located within the United States and Canada. At Surfaces NW our main focus is partnering closely with local builders, contractors, designers and real estate brokers. We offer a vast variety of products such as carpet, hardwood, luxury vinyl, tile and much more! We offer exceptional service and showroom guidance by appointment.